Crawford County Sheriff, Ron Brown, has been serving the citizens of Crawford County since 1985 as a police officer, firefighter, and emergency medical technician. He began his law enforcement career in 1989 with the Alma Police Department. Ron spent a total of sixteen years with the Department serving as a Patrol officer, Detective with the Criminal Investigation Division, and Community Oriented Policing Sergeant assigned to the Alma School District. 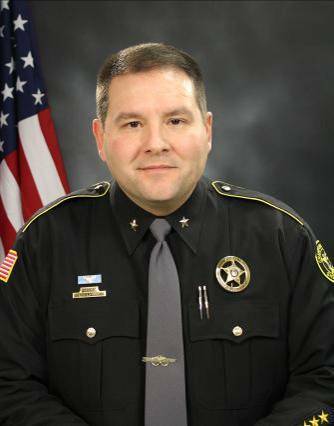 In 2005 Ron joined the Crawford County Sheriff's Department as the Chief Deputy where his duties included supervising the daily operations of sixty full-time employees which includes forty-five Reserve Deputies. Ron also holds the position of Captain with the Alma Fire Department. Ron and his wife, Darla, are truly grateful to the residents of Crawford County for allowing him to be their first Sheriff elected unopposed in more than fifty years. exists to provide solutions to educate families, law enforcement, and youth leadership to aid in the prevention of missing and exploited children. The FBI is offering rewards for information leading to the apprehension of the ten most wanted fugitives. This coin is presented to officers for preforming above and beyond their call of duty.